Discussions Magazine Music Blog: ADELITAS WAY/Home School Valedictorian: Available NOW! 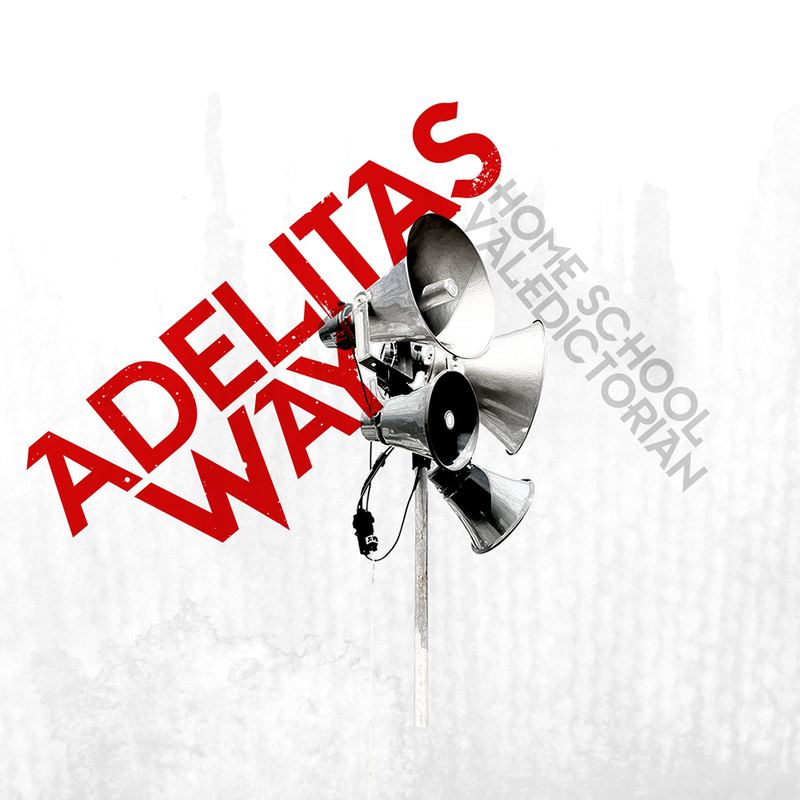 ADELITAS WAY/Home School Valedictorian: Available NOW! 2011 sophomore album from the Las Vegas-based Alt-Rockers. Home School Valedictorian defines and hones in on the quartet’s sound. The 11-track album definitely achieves the type of 'next level' sound the band strived for. Singles 'Sick', 'The Collapse' and 'I Wanna Be' are loaded with heavy guitar riffs layered under the intense unrivaled sound of DeJesus’ lead vocals. Home School Valedictorian was recorded in 2010 at Malibu’s Chateau Relaxo Studio, the album was produced by Dave Bassett (Shinedown, Josh Groban, Halestorm) and engineered by Tadpole (Disturbed, Finger Eleven).